For any business that deals with large numbers of physical products, whether assembling them into their final form, transporting them from one location to another or selling them in a wholesale or retail environment, effectively controlling inventory is crucial to success. But with hundreds of inventory management systems on the market, selecting the right one can be a challenge. This buyer’s guide is designed to describe the basic functions of inventory management software, identify the different types of systems available and help you navigate an otherwise complex and fragmented selection process. In product-based industries it’s critical to maintain the right inventory levels. Ordering too much of a product leads to excess storage and/or overstock costs, while ordering too little (or the wrong) product can result in losing a sale, a customer or valuable production time. Industries that commonly use inventory control software include retail, distribution, manufacturing and construction. Product categorization Many businesses need to track inventory for dozens or hundreds of very similar products, and need an easy way to, for example, distinguish between a hundred different types of screws, or identify whether your retail store carries this pair of jeans but in a different size or color. This is an essential function of an inventory systems for almost all users. 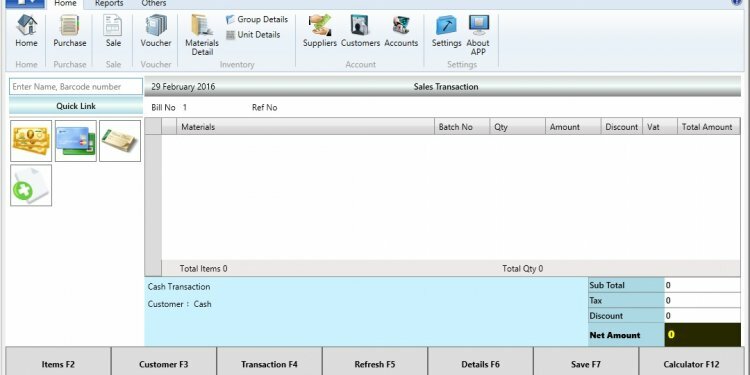 Sales/purchase orders Though the details vary by industry, your inventory control system will have a way to track each product sale or order, wholesale purchase or build, or delivery, automatically adjusting the product quantity. Electronic scanning A common way to track inventory, electronic identification is especially popular when large volumes of product are being moved. Many systems have a barcode or radio frequency identification (RFID) functionality to quickly and efficiently scan items that are received, sold, transferred etc. Automatic ordering More advanced systems like SAP, Oracle and Microsoft Dynamics can be set up to automatically re-order a product when it gets below a certain quantity. Dynamic product information Knowing that a certain product requires a four-week lead time to re-order could be a saving grace. NetSuite, Fishbowl, Epicor and other systems include this kind of information and provide alerts when they see that you may run out at current rates. Advanced inventory controls. New tools are being developed that allow vendors to be proactive about keeping items fully stocked. They use “advanced slotting analysis” to identify historical inventory information, picking trends and warehouse shelving layout information, ensuring that re-orders happen on time, that dangerous items are not stored near each other and more. Changes in inventory tagging. One-dimensional bar codes have been in use for decades, but recently new tracking technology has become more readily available and more cost effective for smaller businesses. This includes two-dimensional bar codes (which allow for much more information to be transmitted) and RFID tags. Voice-picking and pick-to-light (PTL) technologies. These emerging technologies are designed to eliminate the paperwork in inventory picking for the manufacturing and distribution industries. PTL uses light technology to indicate the location of the items to be picked, generating the pick list automatically, while voice-picking uses voice recognition software to allow the manager to create pick lists verbally. Cadence and Exacta are two products that offer this capability. Online/offline integration. With more and more small retailers building an online store in addition to a brick and mortar one, managing inventory control between these two sales channels presents a unique new challenge that many of them are ill-equipped to handle. This results in understocked items and loss of revenue. An RSR Research survey found that today’s most successful retailers manage their inventory as though the store is a distribution center, using their online system for all sales. Industry. Retail inventory software is very different than manufacturing software, which is very different than distribution software. Each of these is designed to address the unique needs of that industry. And even within a particular industry, your specialty can make a huge difference—for example, there are retail inventory solutions that deal exclusively with auto parts, or restaurants, or gas stations, while other solutions are set up to operate across any retail market. Company size. Controlling inventory in an individual store is not nearly as complex as controlling it across four or five locations, which is nowhere near as complex as maintaining inventory control across a 100-unit franchise. Be sure to select a system that fits your company size, so your needs are met without overpaying for robust capabilities you don’t need. Software needs. Some businesses are looking only for inventory management, while others are looking for a full-suite solution that includes lots of other essential features—these features could include accounting, estimating, project and supply chain management, business intelligence, tool management and other features specific to your niche. Aptean acquires vision. In 2015, Aptean expanded its supply chain offerings by acquiring the cloud-based Vision Inventory Management platform, which counts Fortune 100 companies among its clients. Target implements RFID price tags. In 2015, Target began implementing RFID-based price tags in order to eliminate stocking issues and improve in-store pickup, with plans to roll the technology out in all of its stores by the end of 2016. Lot-level traceability required in pharmaceutical supply chains. In 2015, as part of the ongoing implementation of the Drug Quality and Security Act, supply chain partners began having to exchange chain-of-ownership data at the lot level with each change in ownership of pharmaceutical stock. The top blackjack tricks and tips that will allow you to understand to play blackjack.